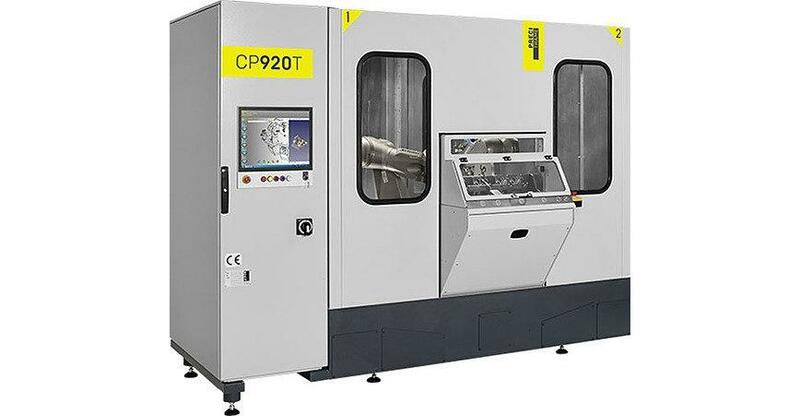 With the Cyberpolish T series transfer machines, Precitrame Machines brings together its expertise in two fields of excellence in a machine that combines high productivity and machining quality for finishing operations. The Cyberpolish 900 T Series provides a multi-stations concept, enabling it to combine all the finishing operations, such as belt grinding, felting, polishing and buffing in a single machine. The CyberMotion software provides a complete solution, allowing users to concentrate on their professional knowledge. This solution offers trajectory tracking with advanced modes and production control. Trajectory creation, simulation, setting and production control can be performed on a single interface.